An updated, ultra dependable general purpose single channel detector available with built-in advanced diagnostic capabilities and heavy-duty 5A relays. 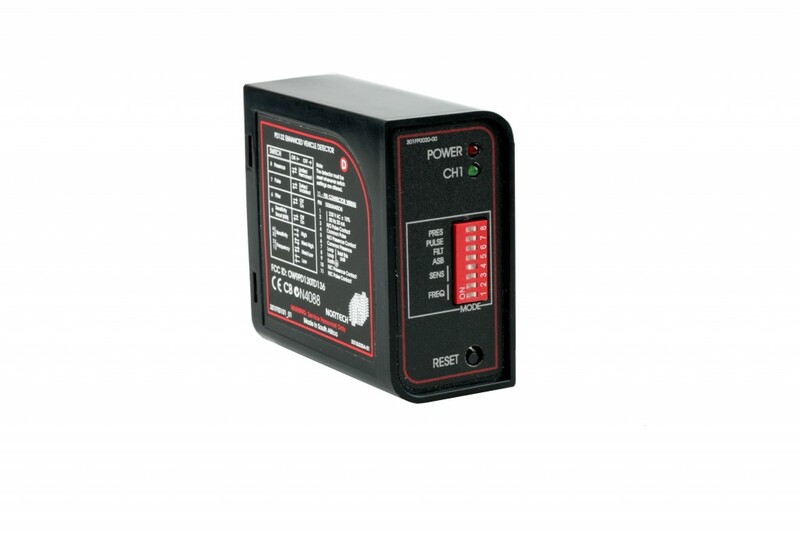 Options in this range include delay features / power fail memory and electrically noise immune models. Models are available for operation with 240V AC and low voltage 9 – 40 V AC/DC supplies. Diagnostic Capabilities – The software of this unit allows comprehensive diagnostics capabilities in conjunction with separate DU100 hand-held diagnostics readout. Selectable Permanent Presence – Using this feature, the output of the presence relay will be maintained for an indefinite period, thereby eliminating premature barrier/gate/door closure and possible vehicle damage. Loop Isolation Protection – The loop isolation transformer provides protection against lightning and transient damage and allows for operation with single point to ground sensor loops. Loop Frequency Indication – The possibility of crosstalk (interference) between adjacent loops/detectors can be determined by an integral indication, and eliminated by changing the frequency settings. Automatic Sensitivity Boost (ASB) – This feature facilitates the reliable detection of large truck-trailer combinations and high-bed vehicles by automatically boosting the sensitivity to maximum on detection of a vehicle. Detect Filter – Selection of the filter option will provide a finite turn-on delay, thus allowing small objects or moving vehicles to pass over the loop undetected.